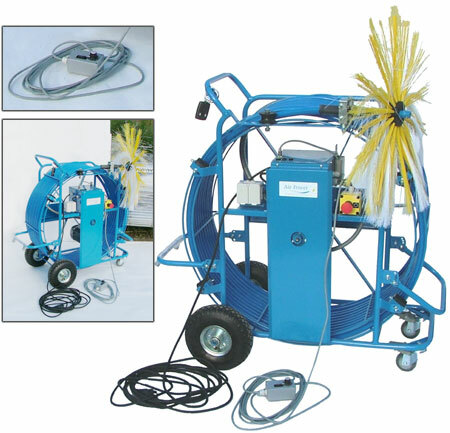 AirPower Reel Master 30 M has been developed for air duct cleaning. Both round and rectangular ducts can be cleaned with it. A 0,75kW/220V electric motor is used as the power source for the Reel Master. Thanks to its size and mobility, Reel Master is suitable also for working alone. AirPower Reel Master is ideal for duct sizes between 200 and 800mm.